Have You Lived in the Kimberley? 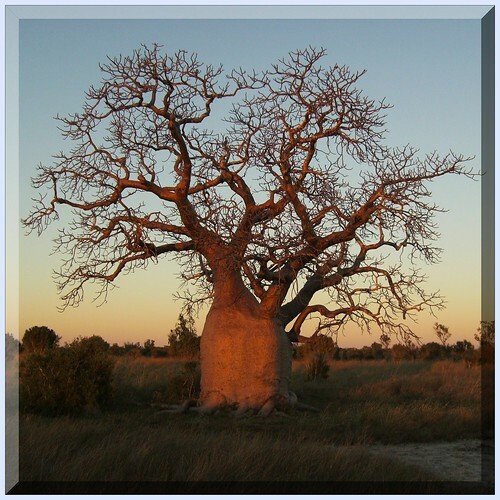 Have You Ever Lived in the Kimberley Region of Western Australia? In towns like Broome, Derby, Fitzroy Crossing, Halls Creek, Wyndham or Kununurra, any of the many Aboriginal communities, or on pastoral stations, mines or resorts and other islands or places? Then you have an experience that is impossible to fully describe! When using these links below that are within this page, you can use the browser Back Button to go back to where you last were. Kimberley Images & History - The Have You Lived in the Kimberley Group- Warning! - Significance - Kimberley - Archives, Museums and History Groups - Contact KHS - 50th and 70th Anniversaries - Have You Lived in the Kimberley? - Guidelines - Have You Lived in the Kimberley? - History Writing Guidelines - Join KHS to support these projects. OTHER KHS on Flickr - Links - KHS Sets on Flickr or KHS Administered Groups on Flickr - Calling all Archives - Ord History in (Ours & Other) Archives - The Kimberley Region in (Ours & Other) Archives - Have You Lived in the Kimberley Group Rules - Group Keywords to Use - General Group Rules. This group has been formed to attract images and short histories of past and present residents of Broome, Derby, Fitzroy Crossing, Halls Creek, Wyndham and Kununurra, as well as all communities from Balgo to Kalumburu, all cattle stations, business, community groups - Tell us your short history of the Kimberley in photographs and decriptions, including affiliations and links to the Kimberley. As the Kimberley is bordered by the WA/NT border we also want to include NT stations over the border as far as Timber Creek, from the East Kimberley along the NT/WA Border areas down the Duncan Road, and as far as Hall's and including the Balgo Hills to Lake Gregory and Tanami areas, where Leichhardt may have ended up? In fact from anyone who has any link to Kimberley History. Share your "Significant" images and views. "Significance refers to the value and meanings that items and collections have for people and communities. Significance helps unlock the potential of collections, creating opportunities for communities to access and enjoy collections, and to understand the history, cultures and environments of Australia". From Significance 2.0, a guide to assessing the significance of collections, by Roslyn Russell and Kylie Winkworth for the Collections Council of Australia Ltd. (Now axed - This may still be available online as a PDF - Search title). Most of these places do not have archive facilities or history groups so Kununurra Historical Society, actively collects and holds material of relevance Kimberley wide as part of our collection policy. If you have objects you'd like to be preserved for future generations, we have a modern purpose built archive facility and museum. KHS is interested in any documents, photographs or any other objects especially if of Significance to Kimberley history. We encourage people from other towns, archives and museums to submit your images to this group. Start a Have You Lived for your Town! and link to this site! Please contact the Kununurra Historical Society (Inc.) Archive & Museum – Founded in 1986 - Celebrating Our 25th Year in 2010 & 2011 – Making Accessible the Significance of 70 Years of Tropical Agriculture & 50 Years of Kununurra & the Commercial Ord River Irrigation Area in 2011. With a very young, but incredibly unique development and history of just 50 years the Ord River Irrigation Area (ORIA) - Ord River Project was just getting underway in 1961. Help mark 50 years of Kununurra & the commercial ORIA's existence in the Kimberley with the Kununurra Historical Society Inc. (KHS) Archive & Museum, and help contribute to Kimberley History. We encourage other towns, archives and museums to submit their images. This Group Pool started out not on Flickr, but by a call to the public in Kununurra to submit a short history of their time in Kununurra, these are still being requested. The idea spawned a Have You Lived in Kununurra? Flickr Group Pool as well as this Kimberley wide Pool. Collecting material from the Kimberley is a part of KHS general collection policy, so if you would like to submit a history of your time in the Kimberley (not just Kununurra but anywhere in the Kimberley), we would also welcome your submission in any media, written, typed, audio, video, photographic or any combination. OR Tell your history here with your own images that you can upload to this Group Pool. Go on, dive in! The list below can be used as a guideline [Just Select the area below, then Copy and Paste into a document] for what to write about. However feel free to write as you please or add others not mentioned below. Add images or send audio and video to the addresses from the KHS Flickr Profile page. Name of person, people or family who lived in the Kimberley Region. The Appearance of the Area. Years of Residence - Dates lived in the Kimberley. Your Workplace - Jobs held in the East Kimberley (with dates, if known). Sporting and other Leisure Activities. How things Changed. - The growth of Kununurra and the ORIA. What you as an individual, business or group may have done to help this growth. Businesses, Groups and Associations would also be welcome and encouraged to use this as a platform to provide their history in images and writing. Please attach and email any photographs or upload to this Flickr Group and include details of your stories in image descriptions. We are interested in ANY contributions, no matter how small you think they may be, all information could be useful in the future and almost certainly are of Significance. You could put these into a document format, or record these details to tape/CD or video/DVD with a “release” to allow such items to be used in future research projects. Digital images and documents can be emailed to KununurraHistoricalSociety@gmail.com or contact us for further information or if you would like us to send these guidelines in a document format for you to type into. As a gesture of our 25th Year, and as we are considering a change to membership renewals to be on a fixed date in the middle of the year, rather than a flexible date based on the AGM, that we have at present, we are offering a membership here that will be valid until mid 2012. Please email us for a Membership application form to support these activities and be a part of the 50th & 70th Celebrations. KHS would like to call for the many former residents of anywhere in the Kimberley to provide us a short history and any images of their involvement in the region. This could form an interesting archival snapshot another 50 Years down the track in 2061. Have You Lived in Kununurra? - Group Profile Page is at www.flickr.com/groups/have-you-lived-in-kununurra/ - Join the Group and share your images and history to take part in these 50th & 70th celebrations. Kununurra has always had a very transient population, so KHS is seeking past and present Kununurra residents, for a project to celebrate these 50th and 70th anniversaries by calling on all businesses, Government Departments, Organisations, Clubs, Associations, and especially people to supply and share a history of their Kununurra involvements. These can be complex or as simple as you like, in documents and object form with real photographs posted to the archive, or in any electronic document format. Please DO include images if you can. KHS has also started a new Flickr Group with the same title, where anybody can upload their Ord history images to pool our images of the Ord and share short histories, in image descriptions. KHS has started four groups along these lines. Other Group Photo Pools Initiated and Administered by KHS. KHS is utilising the Flickr platform for accessibility and wishes to call all other archives, libraries, museums, historical societies and any collecting institutions, government or private to seek out and submit, any images they may have, relating to Ord River/East Kimberley history, to this new pool of resources and help KHS show the great Significance of this young, but incredibly fascinating, 50 years of Kununurra and the commercial Ord River Project history. Kimberley History in (Ours & Other) Archives – for other images Kimberley wide archive images. OR View the Latest KHS Kununurra History Archive Images - See KHS Sets. Only use images that you have rights for unless the image is out of copyright. Have You Lived in the Kimberley Group Rules - Group Keywords to Use - General Group Rules. If possible create three new tags and add them to each image as follows. 3. "YYYY-MM-DD-Place-Name" - The year and date the image was taken if known - if not known use a guestimate year at least. and add circa AFTER the DATE. eg. 1886-circa-Derby or with this tag you can use spaces however the first dashes between date and place is crucial. Add quotation mark here "Year-MM-DD-Place-Name Rest of Placename and Description" then close off area with spaces with the final quotation mark. (All TAGs with spaces in Flickr must have quotation marks). Use inverted commas to include spaces eg. "1886-03-21-Derby Cyclone Destruction"
Anything you like could be added after the place name, such as event or activity or your archive number, even though this is a separate tag for each KHS image and within metadata within the image. KHS is experimenting with these tags as a way of finding images of a certain period or place. eg. 1886-circa-Cambridge-Gulf or 1960-11-31-Camballin or or even 1959-09-Wyndham-Wharf-Upgrade-WHS-1999-03-7a-P1 or 1927-Lamboo-Station - to add to your tags when uploading. In Flickr tags are space separated but words can be joined by using inverted commas. KHS has started using tags that are valid for how KHS would like this history "Tag" (or metadata "Keyword") experiment, for these groups to work. "1881-Cambridge Gulf" [Note there is no dash between Cambridge & Gulf but inverted commas are present. eg. 1886-circa-Cambridge-Gulf or 1960-11-31-Camballin or 1927-Lamboo-Station - Add to your tags when uploading. DO put as much Metadata and other information with each image as possible. There is no need to re-format images as in Flickr you can simply "Append" (Add on to the end of), any tags you may already have. Have You Lived in the Kimberley Group Rules!!! 1. Title - Please provide some information in the title, especially if you uploaded as eg. "image-0012"
ALSO if you are going to add this to the "Have You Lived in Kununurra" Group Pool (only if the image is to do with Kununurra), please also add the tag "HYLIK" while you are at it. To keep the pool safe for viewing at hame and at work, no nudes and pictures with disturbing themes are allowed. They will be removed by moderators. Members can post 50 things to the pool each day.